Children at Los Casa de Ninas orphanage wait patiently to play soccer in the courtyard area of their building. The Mexican community is extremely fond of soccer, and children become excellent players at an early age. 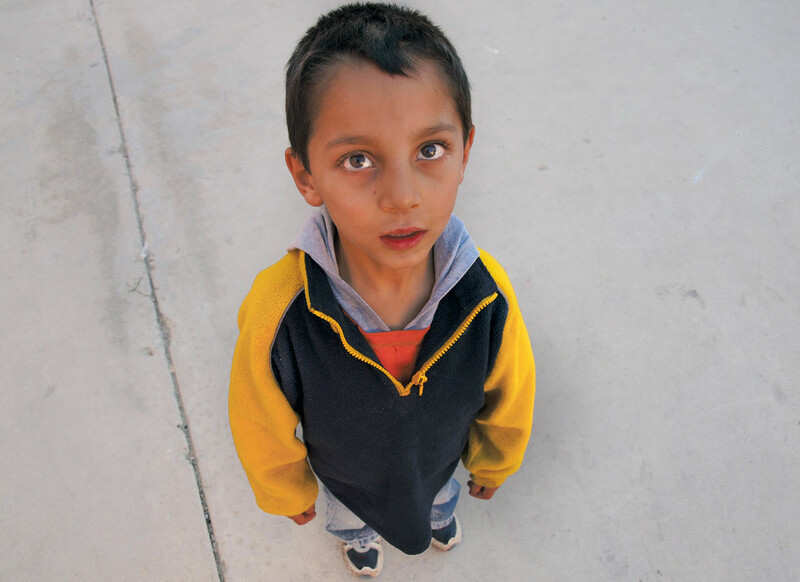 A boy from Los Casa de Ninas orphanage awaits volunteers from the USA to arrive and spend the day with him. Many churches from across the border in Southern California help the orphanage with household donations, food, and maintenance. The House of the Children. Los Casa de Ninas is operating during a time of uncertainly in Mexico's history. 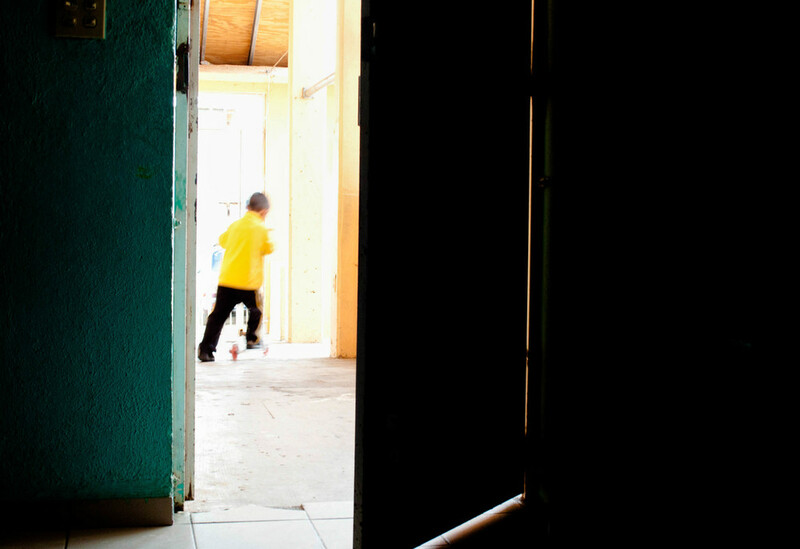 A lingering drug war and corrupt government often add complications for the staff and children of the orphanage, and the majority of operational cost's are donated by churches and faith-backed organizations in the United States. Los Casa de Ninas. 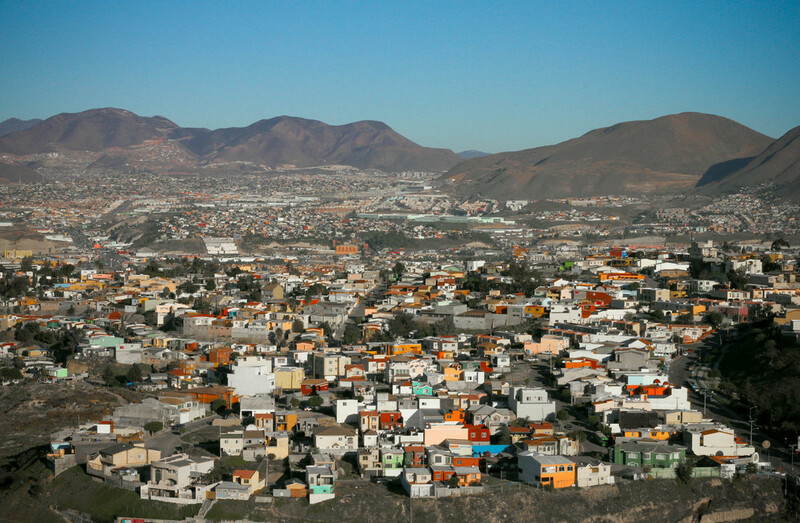 Tijuana, Mexico. 2012. The view Southeast from the orphanage rooftop. A young boy enjoys showing off his marble collection he chose from a shipment donated toys. 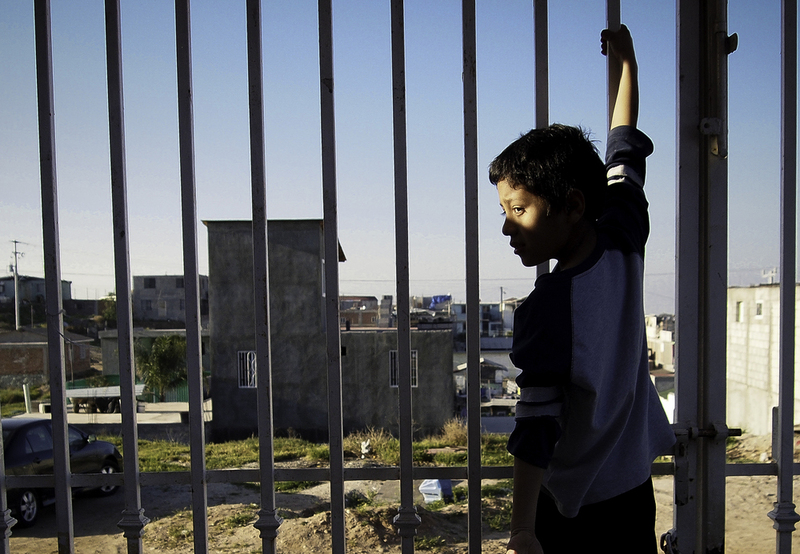 The orphanage provides a safe haven for the children in a city besieged in violence. Giovanni has lived at Los Casa de Nina's for the last few years. Most of the boys and girls that reside that the orphanage have little to no contact with their parents. Los Casa de Nina's orphanage is maintained by one full-time staff member who must take care of 20-50 children at any given time. 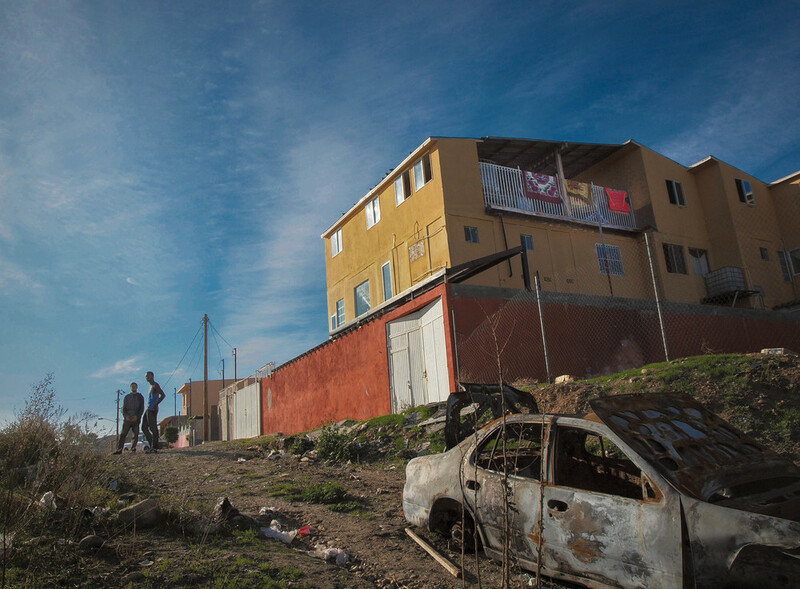 Volunteers and donations are vital to keep the operation running in Southeast Tijuana. Volunteer Aze Perkins helps carry a load of the children' laundry up four flights of stairs. Los Casa de Nina's is maintained by one full-time staff member, and depends on volunteers and donations to remain in operation. After school, the children of Los Casa de Nina's orphanage look forward to having playtime in the courtyard. The toys and playground equipment are donated from Christian churches just North of the border town in neighboring California. Hermana Melo make's sure that the children of Los Casa de Nina's maintain good habits by having clean rooms, bathing regularly, and praying together. She is the only full-time staff member at Los Casa de Nina's. Ricardo flips through donated English language encyclopedias. He enjoys the photos of places he has never seen outside of Tijuana. Three boys of Los Casa de Nina's orphanage try to hide while they drink a soda they stole from the kitchen. With one full time staff member, it is almost impossible to keep watch over all of the children residing at the orphanage. 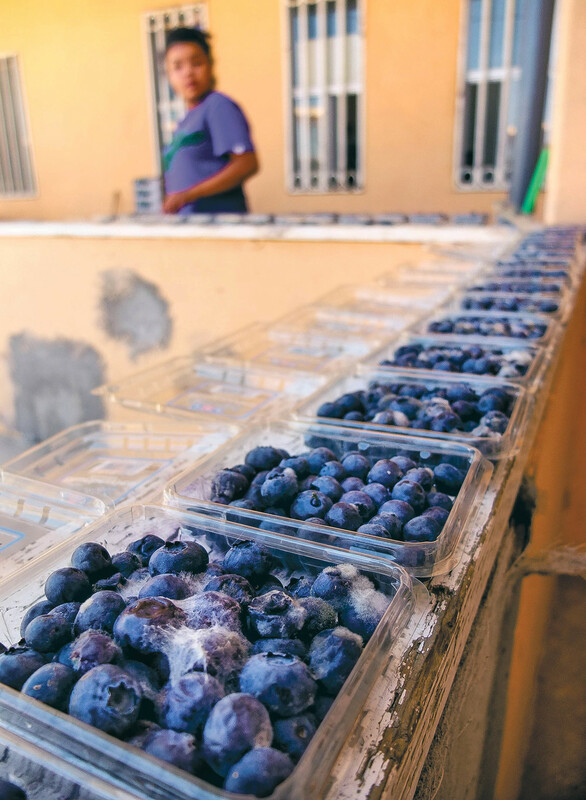 A young woman of Los Casa de Ninas orphanage volunteered to sort through boxes of donated moldy fruit for the children's dinnertime. The process took hours, and the children and staff were happy some of the fruit could be saved for their meal. The orphanage has anywhere from 20-60 children staying at any given time, and it is dependent on the food donations they receive weekly. Residents of the orphanage eat two modest meals a day with thankfulness and prayers beforehand. 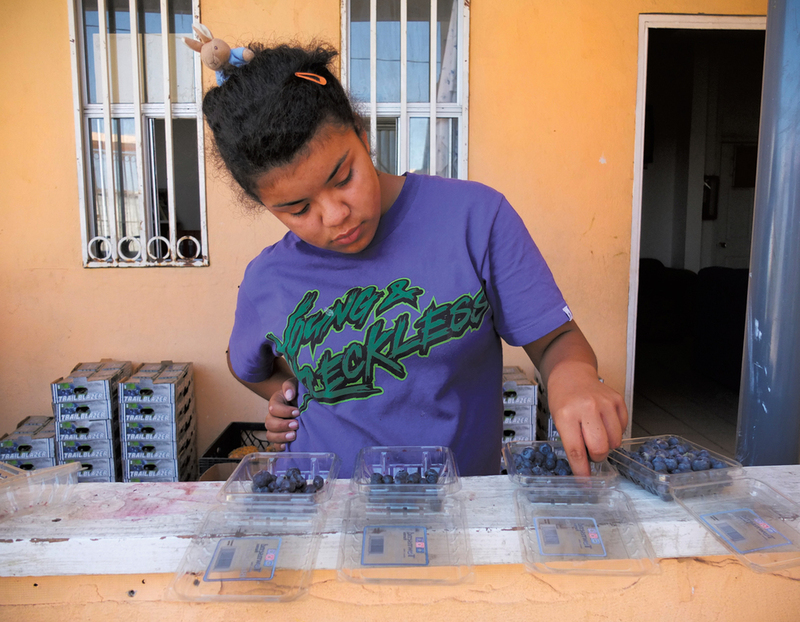 One of the older girls at Los Casa de Nina's orphanage looks through an expired fruit donation given to the orphanage by a local market. The fruit unaffected by mold will be used for the children's evening meal. 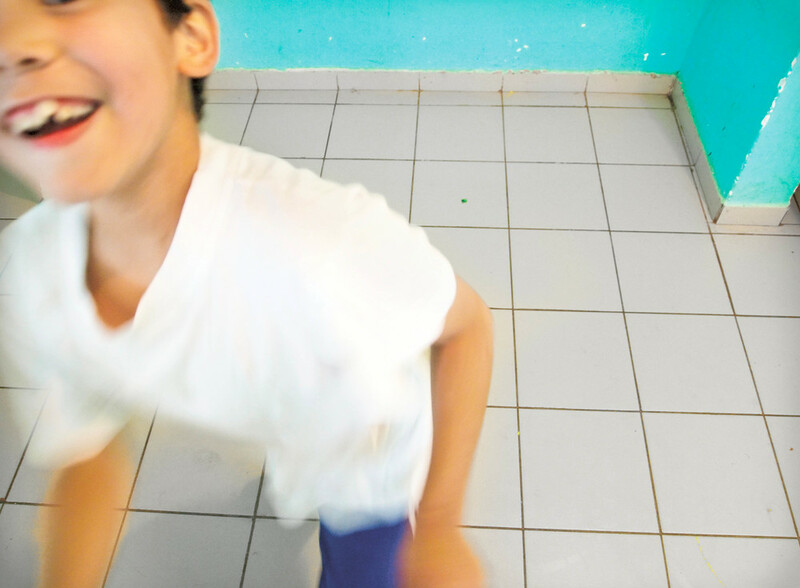 The children of Los Casa de Ninas enjoy playtime when their schoolwork has been completed for the day. With only one full-time staff member at the orphanage, Los Casa de Nina's is dependent on volunteers and donations to remain active. 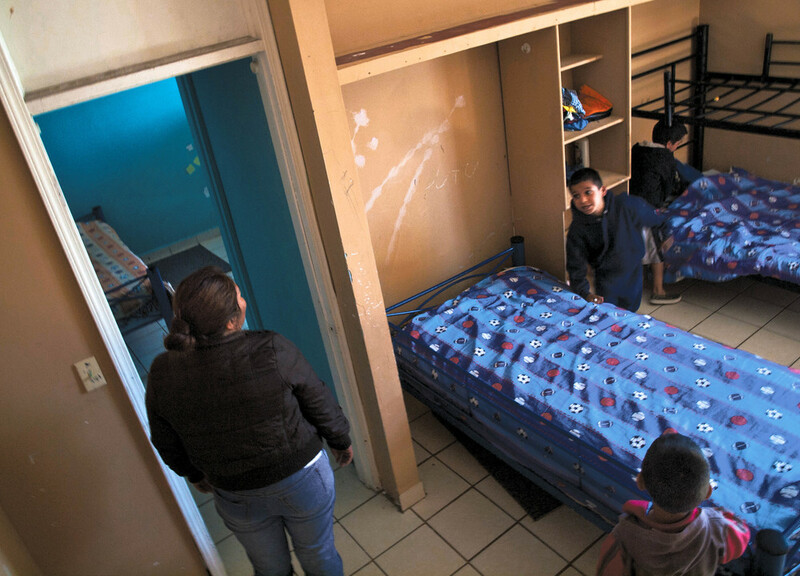 The children of Los Casa de Nino's stay at the orphanage on a temporary basis. A lone pair of shoes stands a reminder of a child that came and went.